On the opening day of the Cannes Film Festival Kevin Macdonald will be releasing a preview of his upcoming documentary about Bob Marley. This coincides with the 30th anniversary of his death. If Macdonalds previous documentaries are anything to go by then this is going to be an excellent look at the singer's life. 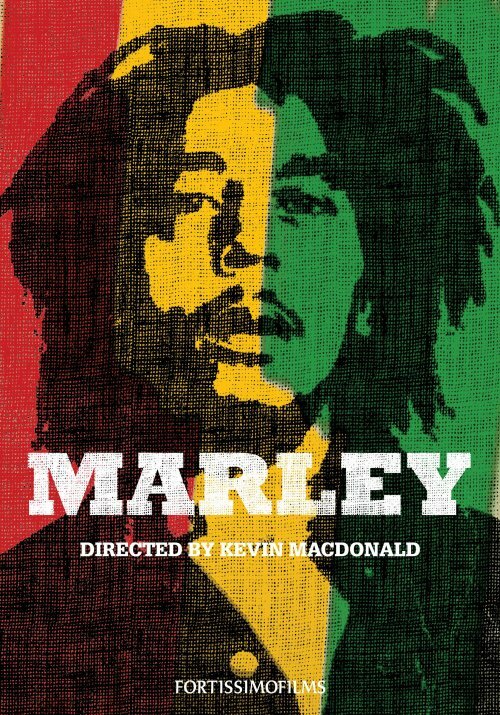 London, 5th May 2011: Academy Award® and BAFTA® winning filmmaker Kevin Macdonald will head to Cannes next week to screen around 15 minutes of footage from his hotly anticipated documentary feature MARLEY. The filmmakers have purposely chosen the opening day of the Cannes Film Festival to unveil the footage as the date itself, 11th May 2011, marks the 30th anniversary of the day Marley died. The footage will be presented to a select audience of buyers with the movie opening later in 2011. In February 2011, Macdonald boarded Tuff Gong Pictures / Shangri-La Entertainment Bob Marley documentary MARLEY. Director Macdonald joined with the Marley family, Chris Blackwell and Steve Bing have put together what they claim to be the ultimate, authorized documentary film on the life, legacy and global impact of a true legend, One of the most influential singers, songwriters, musicians and activists in history. MARLEY marks the first time ever that his family has authorized the use of their own private Bob Marley archives. The film will receive a worldwide theatrical release later in 2011, during the 30th anniversary year after his passing in 1981. Tuff Gong Pictures and Shangri-La Entertainment are producing, in association with Cowboy Films, this definitive film about one of the true and most loved international icons of the 20th Century. His music and message of love and redemption are known throughout the world and his story will finally be brought to life by the acclaimed talent of Kevin Macdonald. Bob Marley’s universal appeal, impact on music history and his role as a social and political prophet is both unique and unparalleled. His music and message transcend culture, language and creed and resonate around the world today as powerfully as when he was alive. Only a handful of musicians have ever achieved such an impact and Bob Marley, though his life was far too short, stands among them. As one of the most accomplished documentary and feature filmmakers of a new generation Macdonald will deliver the definitive work on Bob Marley, his life and a truly global influence. Filming is taking place as far afield as Ghana, Japan and the UK, in addition to his beloved Jamaica and the States. The film is produced by Charles Steel of Cowboy Films and co-produced by Shangri-La Entertainment’s Zach Schwartz. Directors of Photography include Alwin Kuchler (ONE DAY IN SEPTEMBER and SUNSHINE) and Mike Eley (TOUCHING THE VOID). The editor is Dan Glendenning. Kevin Macdonald recently completed shooting his upcoming multi-million dollar Focus Features production THE EAGLE starring Donald Sutherland, Channing Tatum and Jamie Bell which will hit US theatres in February. His hotly anticipated documentary LIFE IN A DAY is screening at this year’s Sundance Film Festival. Fortissimo Films is the international sales agent. Shangri-La Entertainment films include POLAR EXPRESS, SHINE A LIGHT, BEOWULF, LOOKING FOR COMEDY IN THE MUSLIM WORLD, FOR YOUR CONSIDERATION, HEART OF GOLD and CSNY: DÉJÀ VU. Cowboy Films produced Kevin MacDonald’s THE LAST KING OF SCOTLAND, which won an Oscar for Best Actor and a BAFTA for Best British Film. Other feature films include Beeban Kidron’s AMY FOSTER (aka Swept From the Sea) and Nick Love’s debut GOODBYE CHARLIE BRIGHT. TV productions include POPPY SHAKESPEARE which won the BAFTA for Best Actress and TOP BOY, a four-part thriller written by Ronan Bennett currently in production. Cowboy also produces short films including the Oscar winning WASP (Andrea Arnold) and the BAFTA winning I-DO-AIR (Martina Amati).To be released in May 2011 is Cowboy’s first feature documentary FIRE IN BABYLON, which premiered at the London Film Festival.